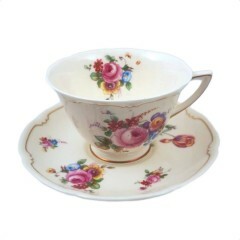 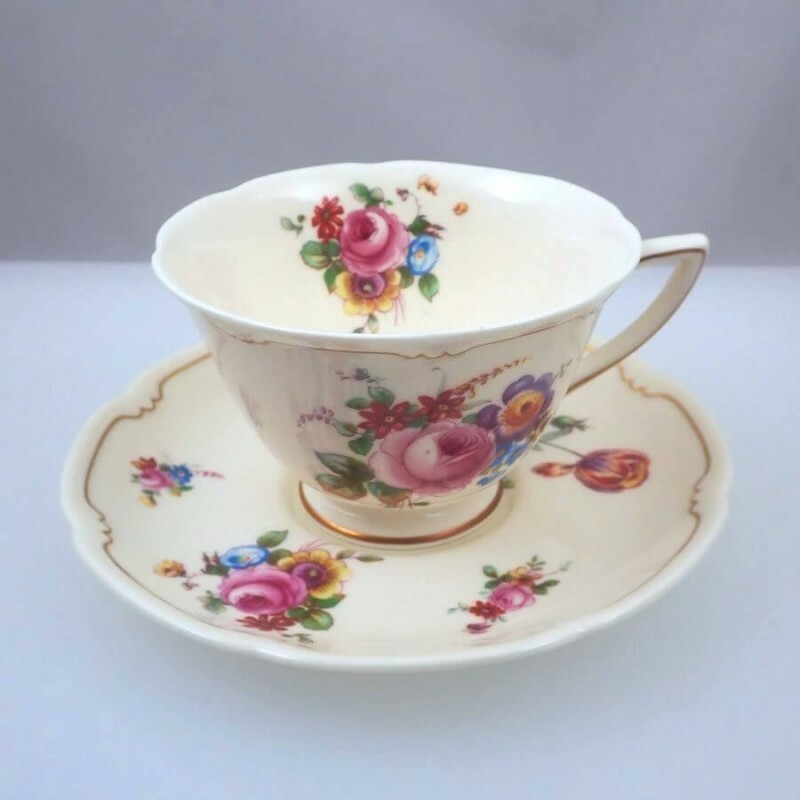 For your cup and saucer collection, tea time, or for your dining table, a lovely Royal Doulton bone china cup and saucer set in the Bristol pattern (pattern #V2080). 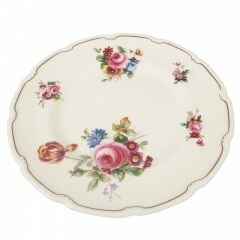 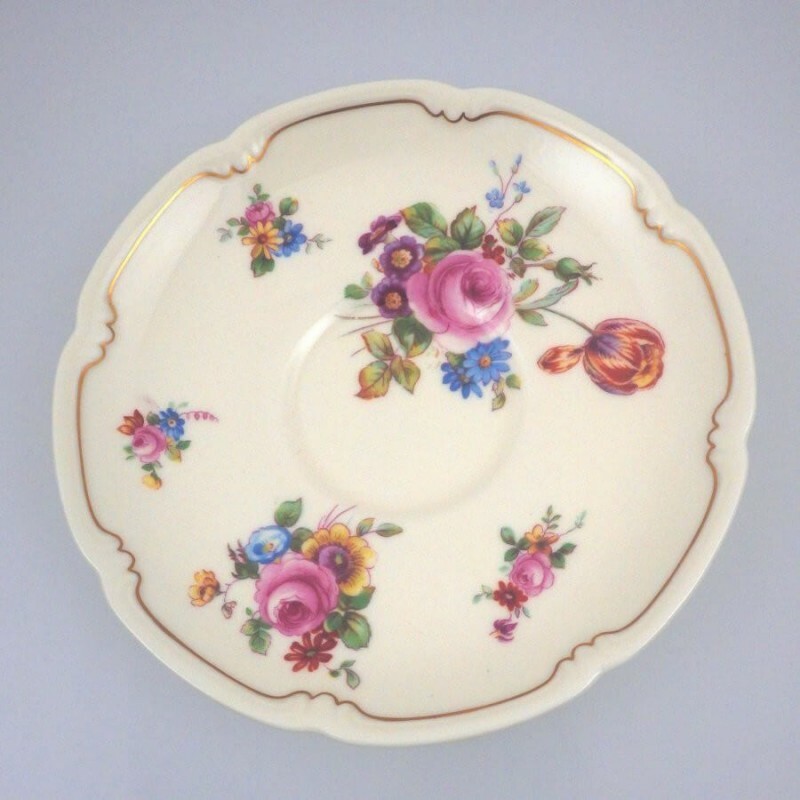 Both pieces have a softly scalloped edging finished in a gold trim, with a colorful bouquet of wild flowers and roses to sweeten the treat. 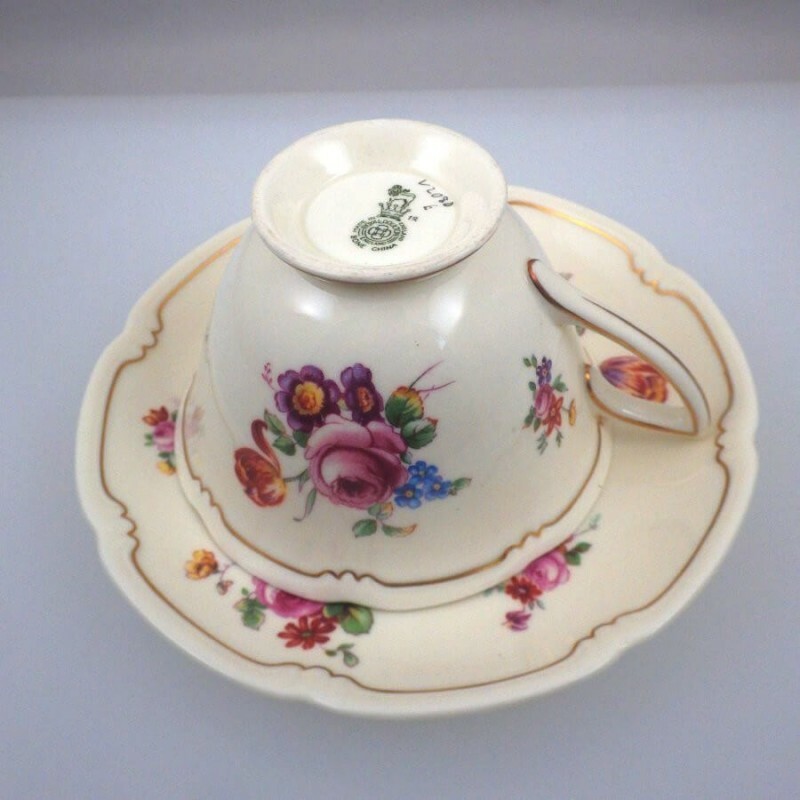 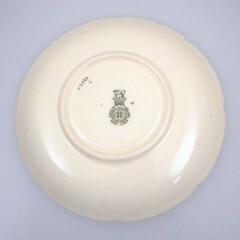 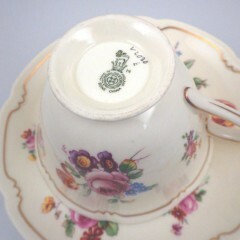 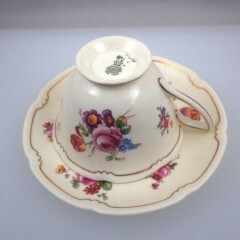 Saucer measures 5-3/4 inch in diameter, while the footed cup stands 2-1/2 inch high with a rim diameter of 3-7/8 inch. 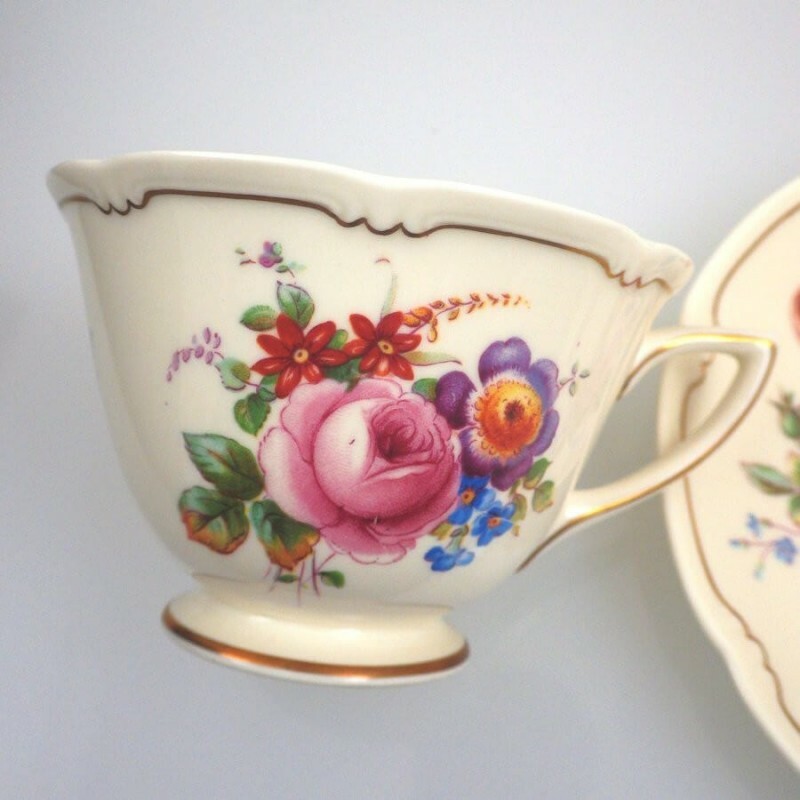 Both pieces are in excellent condition, with no nicks, chips, or cracks. 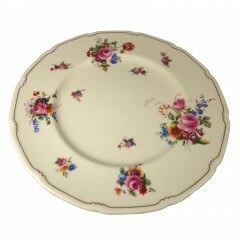 Multiple sets and other matching pieces available for your dining pleasure.